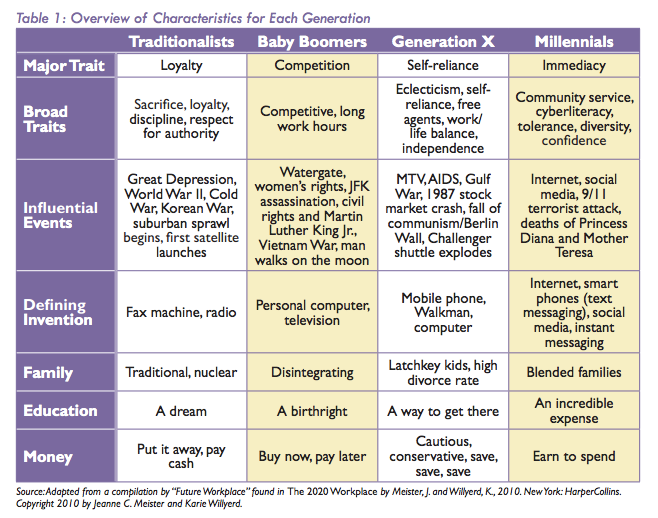 There are four distinct generations in the workforce right now: Traditionalists, Baby Boomers, Generation X, and Millennials. While each brings their own wealth of knowledge and experiences, it is crucial for employers to understand the differences between them. However, just because there are several differences between older and younger workers does not mean they cannot learn from each other. 55 or older, unemployed and looking for work? The AARP Foundation’s Senior Community Service Employment Program can help!